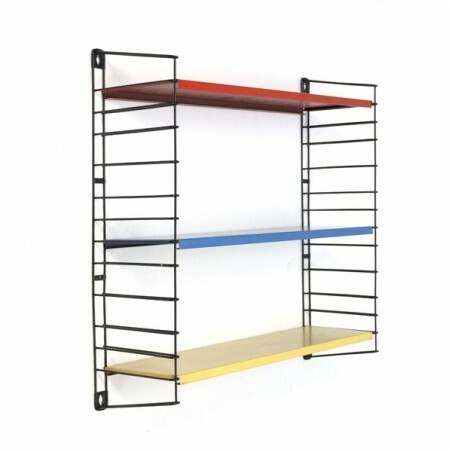 Vintage Tomado wall system / bookshelf designed by Mr. A. Dekker in the fifties. 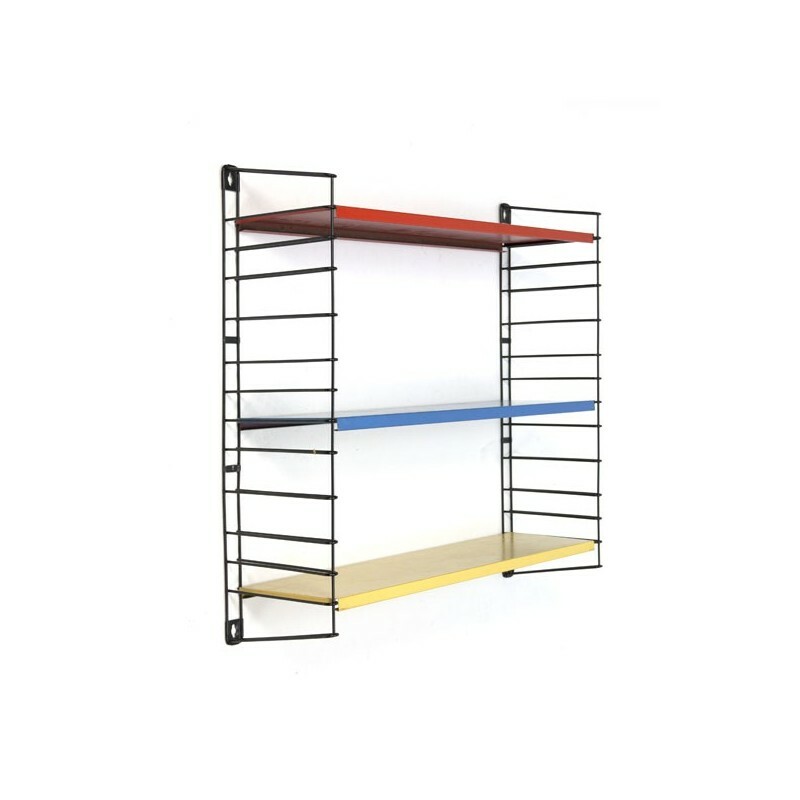 The system consists of two wall sections and three shelves in different colors (original and marked). The condition is good considering the age, slight traces of use, see the detailed pictures. 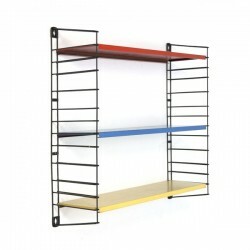 The size is 68.5 cm high, 65 cm long and 19 wide.